Uber does weddings! Yes ! The quick, reliable, professional, and classy way you travel to your favorite lounge or a sunday brunch in the DMV area, now does weddings! The biggest challenge with wedding planning is making sure everyone has great directions and arrives on time. Not everyone will be on the same route or same timeline. Having guests arrive and leave from multiple directions increases the possibility of them being late or getting lost, but that is why Uber provides an exceptional VIP wedding package service to engaged couples and their guests. 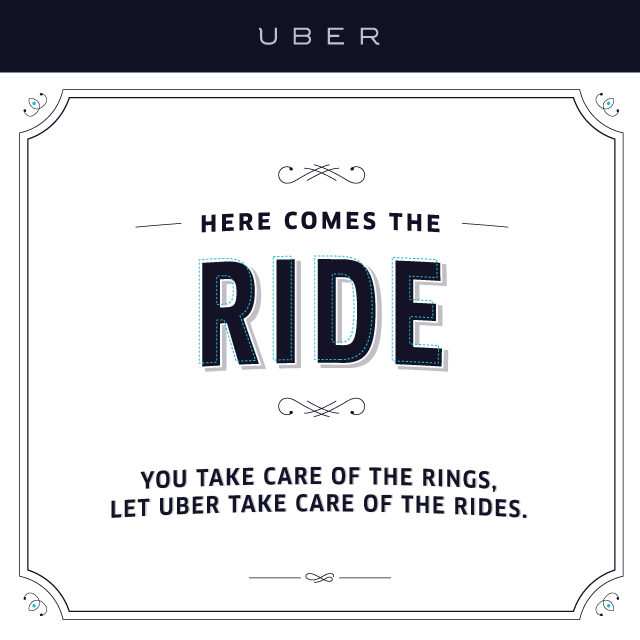 Whether it’s getting the bride & groom to and from the reception and ceremony on time, picking up your great aunt from the airport, celebrating your last night as a single person, getting the bridal party to the rehearsal dinner on time, or dropping off your cousin who had a little too much to drink during the reception at their hotel safely, Uber can assist you with your wedding transportation.